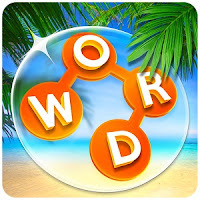 Wordscapes 2 by "PeopleFun" answers, cheats, solutions for the levels in [Ocean] Depth Pack. On this page you'll find the solutions for all the levels in Depth Pack. Leave a comment if some of them are wrong and I will fix it as soon as possible. Wordscapes [Ocean] Depth Pack Answers, Cheats, Solutions for Android, iPhone, iPad, iPod.